Jeff Bezos grew up as a boy in Florida marveling at rocket launches. On Tuesday, the Amazon (AMZN) founder said his aerospace company, Blue Origin, would use Cape Canaveral's Launch Complex 36 to take paying passengers to space by the end of the decade. Blue Origin originally attempted to secure launch pad 39A, but that lease was given instead to SpaceX, Elon Musk's space company. "Cape Canaveral has long been a gateway to humankind's greatest adventures," Bezos said. "As a kid, I was inspired by the giant Saturn V missions that roared to life from these shores. Now we are thrilled to be coming to the Sunshine State for a new era of exploration." 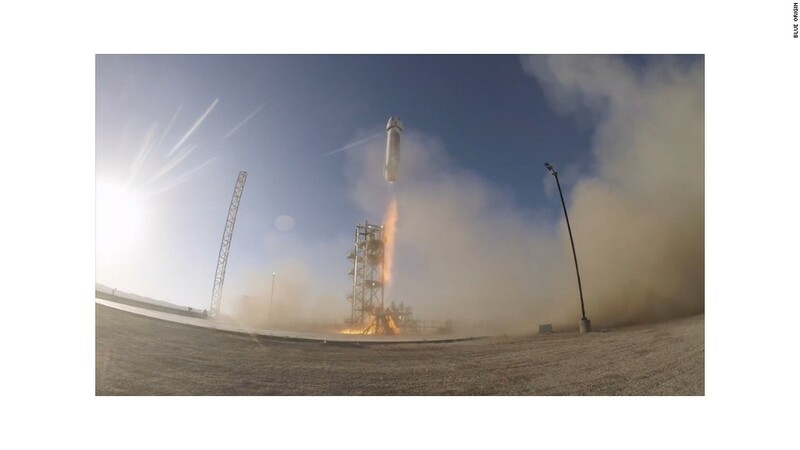 In April, Blue Origin released its first test launch video, which featured dramatic cinematic elements and ended with the words: "Ready to take your first step?" Related: Amazon founder Jeff Bezos' space company launches first rocket into space. Space Florida's President Frank DiBello, the host of Tuesday's announcement, said Bezos' program would make "space and the stars available to average global citizens." -- CNN's Rachel Crane contributed to this piece.